Ecobank Group CEO Albert Essien won this week the African Banker of the Year award at the 9th edition of the African Banker Awards in Abidjan, Côte d’Ivoire, in the margins of the 2015 African Development Bank Annual Meetings. The award recognises the contribution of individuals in management positions, and best practices in African banking. Essien was one of five contenders for the African Banker of the Year award. Others chief executives competing were Segun Agbaje of Nigeria’s GT Bank, Paulo Alexandre Duarte de Sousa of Banco Comercial e de Investimentos of Mozambique, Charles Kimei of Tanzania’s Cooperative Rural Development Bank Bank plc and Tariq Sijilmassi of Morocco’s Groupe Credit Agricole. The award is the second received within the group this month. 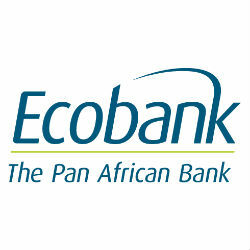 On the 22nd of May Ecobank was named African Retail Bank of the Year at the Global Retail Banking Awards ceremony in London. The bank also received a nomination in last night’s African Banker Awards in the Best Retail Bank of the Year category.